Several years ago, I remember reading some information about a brand of pointe shoe called Balletique. I also remember seeing a photo of them somewhere in a dance forum and thinking how lovely they were. Every few months or so, I try to find a photo of them, but so far the Balletique seems to be a very rare and elusive model to find pictures of. I don’t even have one for this post, unfortunately. The interesting thing about the Balletique brand is that they are one of the few brands made in Africa. Balletique is a dance supply company that has been providing dancers with all of their theatrical needs in the Cape Town area for more than 30 years. This area of South Africa is located at the southernmost tip of country. 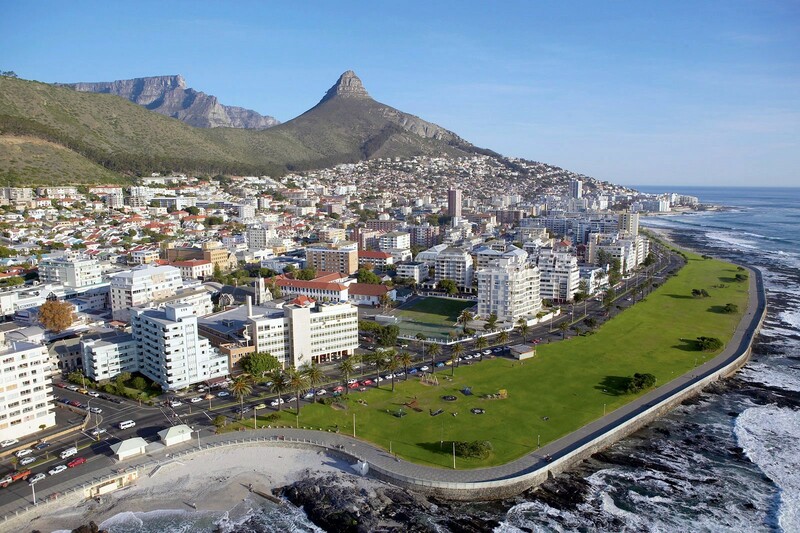 Looking at the photo above, there is no doubt that Sea Point is a beautiful town. Don’t you agree? How Can I Get Information About Ordering Balletique Pointe Shoes? Dancers or pointe shoe collectors who are interested in learning more about the features of the Balletique pointe shoes can contact the company directly through an email inquiry. Yes, Balletique does have an official website! Although the website doesn’t show any specific products, the owner acknowledges that they do offer pointe shoes locally and for shipping outside of the country. Balletique will be another must-have brand to add to my collection in the future. To see more about this intriguing South African ballet supply company visit their official website, www.balletique.co.za. This entry was posted in African Brands and tagged African pointe shoe brands, Balletique pointe shoes, pointe shoes made in South Africa. Bookmark the permalink. You may be interested to learn that Balletique started over 30 years ago in a little shop in a town called Watford in the UK. (about 20 mins. from London) it was started by Michael Page , who invented the suede sole ballet shoe and pointe shoe. He later opened a partnership in South Africa but not sure how that ended. He now lives in Australia . I worked for Balletique when it was famous for its dance shoes, Latin and Ballroom.I later went on to make my own brand with my husband, called Heavenly Dance Shoes but have recently retired and I think the brand will not survive, but we are hopeful. best wishes, Sandie ps. Michael is my brother-in-law.